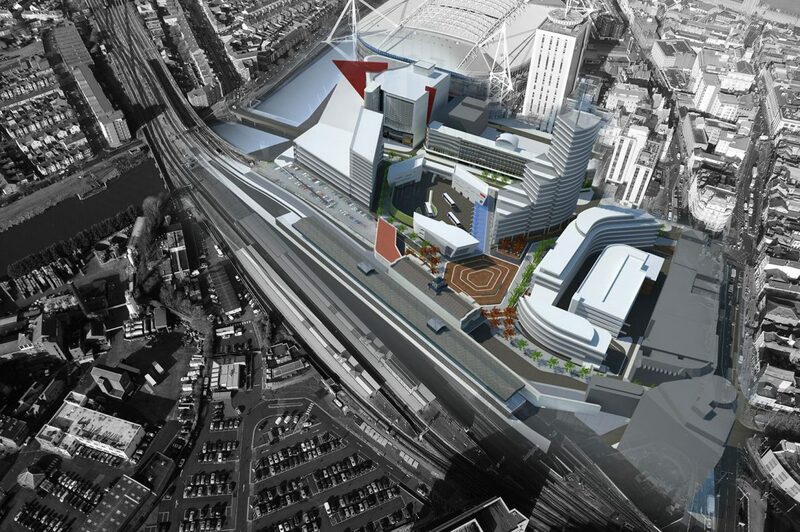 The area around Cardiff Central Station has long been in need of regeneration as the existing public open space, city bus station and surrounding sites have detracted from the Cardiff’s image as the capital of Wales for those arriving in the city. 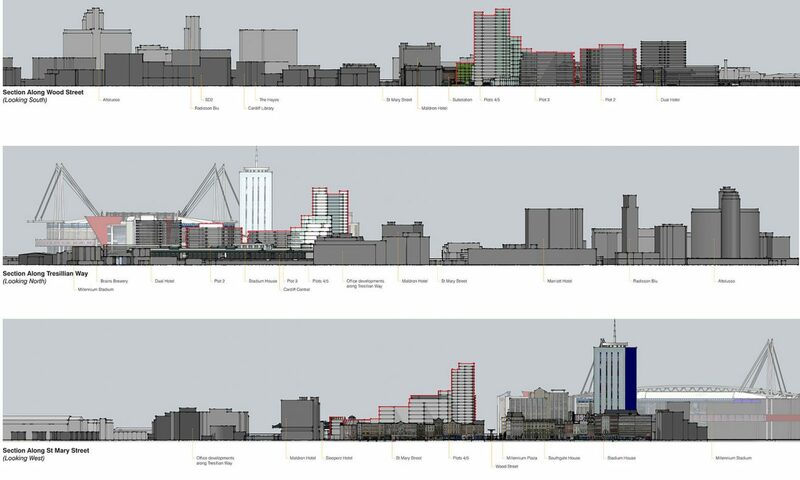 Stride Treglown was appointed to design and coordinate a major city centre redevelopment scheme for Cardiff Council. The commission included masterplanning, urban design, architecture, landscaping, town planning and inclusive design advice. 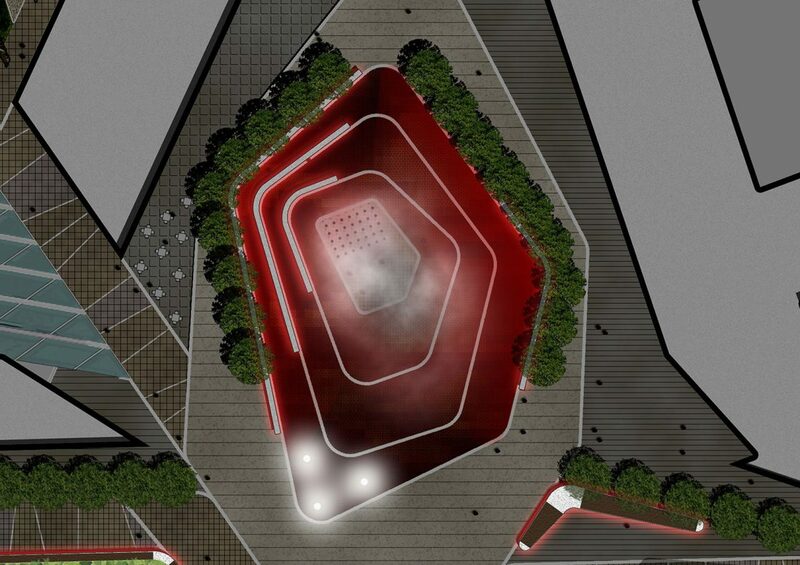 We were briefed to create a scheme that would regenerate the area by providing a vibrant new public square at its heart, along with a new highly efficient bus station, a multi-storey car park and a range of office and retail space amounting to approximately 60,000sqm. 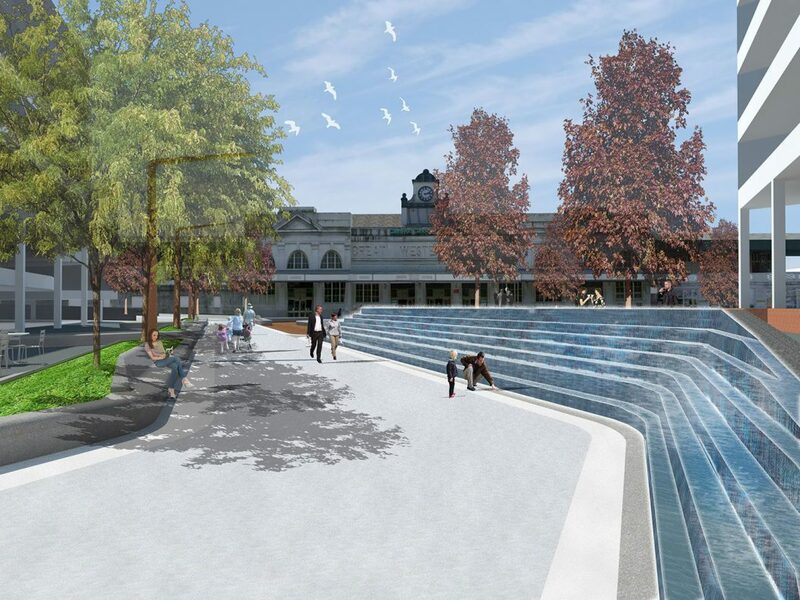 The design response evolved into the final masterplan proposal, a scheme that has a large paved open space in front of the listed train station building. Radiating out from this space are strong tree-lined pedestrian connections to the new bus station, Wood Street, and the principal city shopping areas around St Mary Street and Custom House Street. 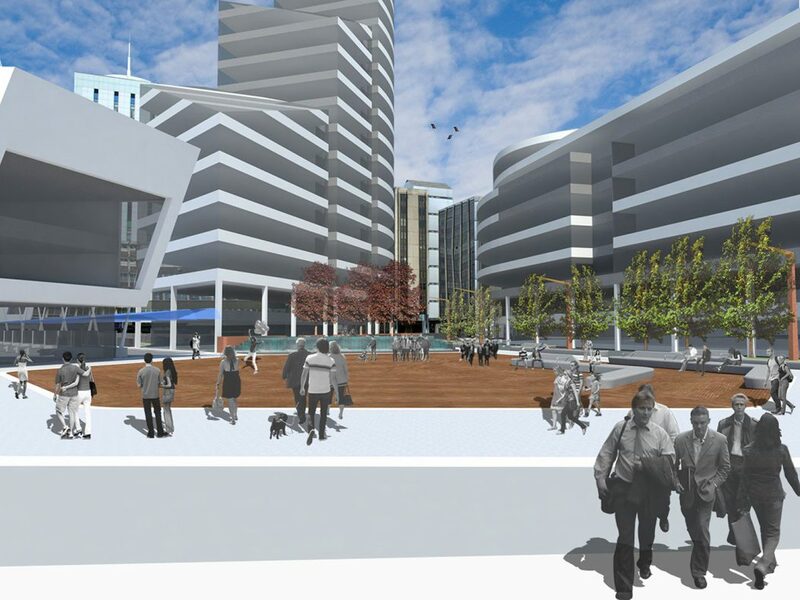 These routes are designed to provide plenty of active street frontages for new shops, cafes and offices, while accommodating large crowds on event days in the city centre. 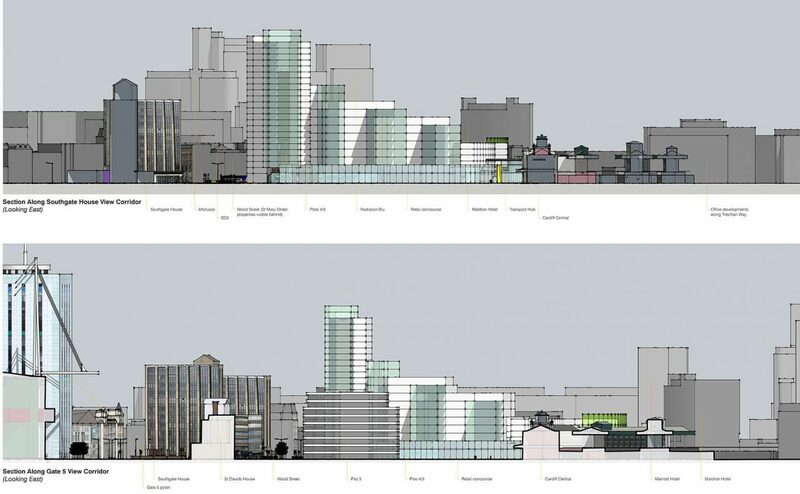 The proposed buildings help to create a lively street scene, the centrepiece of which is a distinctive tall building that adds character to the wider city skyline. More information about the project can be found in the Redeveloped Cardiff bus station to take inspiration from Wales’ industrial heritage article on the WalesOnline.co.uk website.